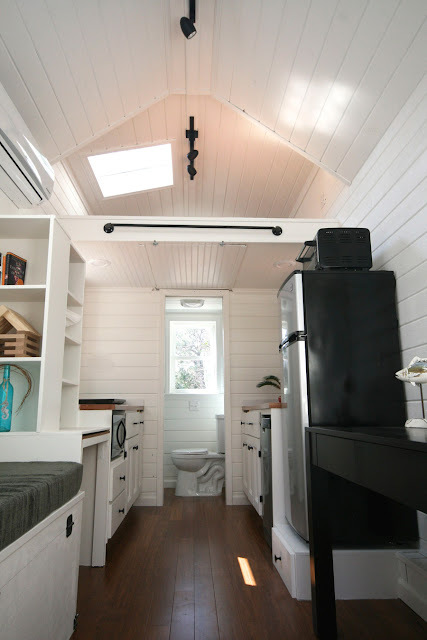 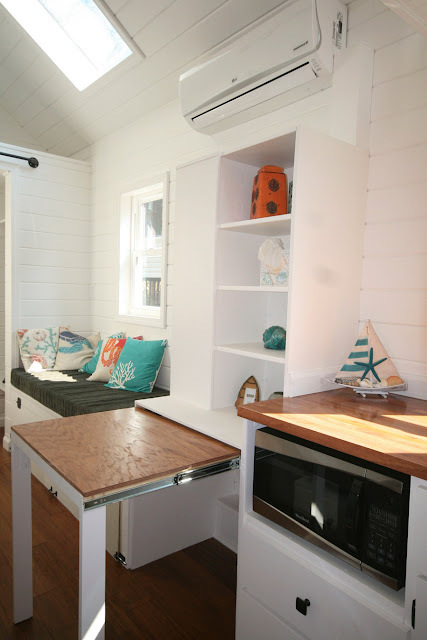 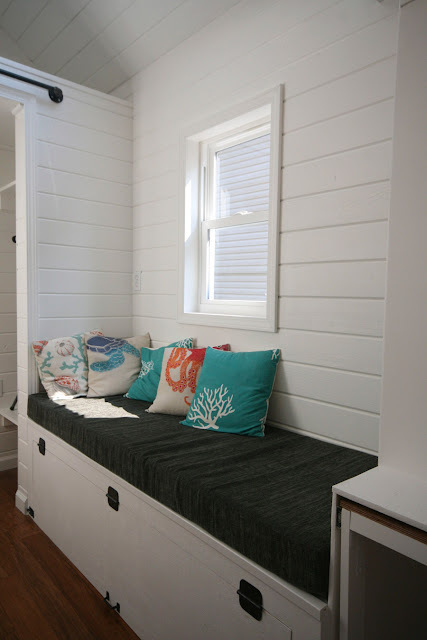 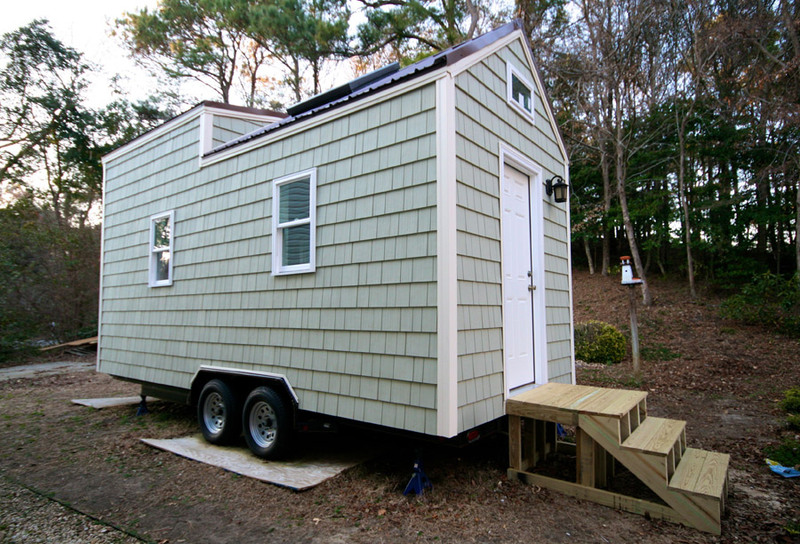 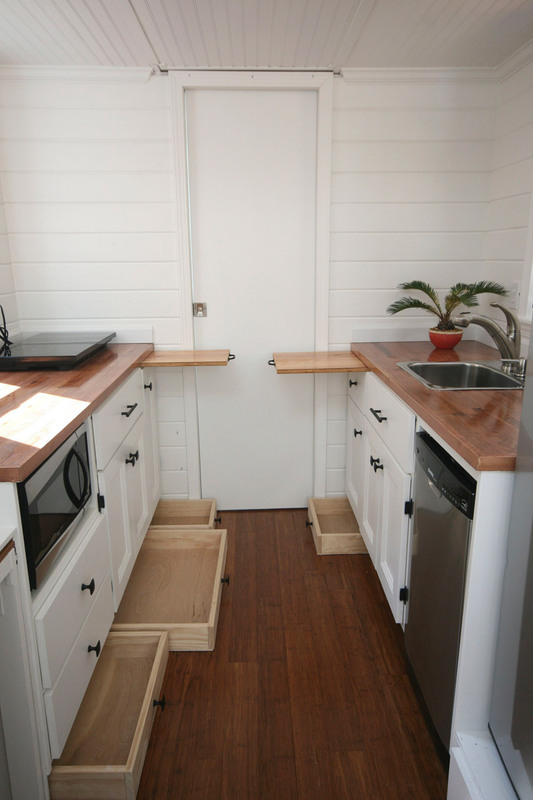 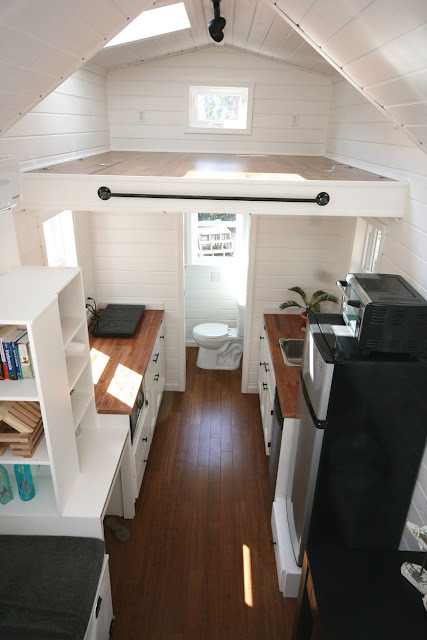 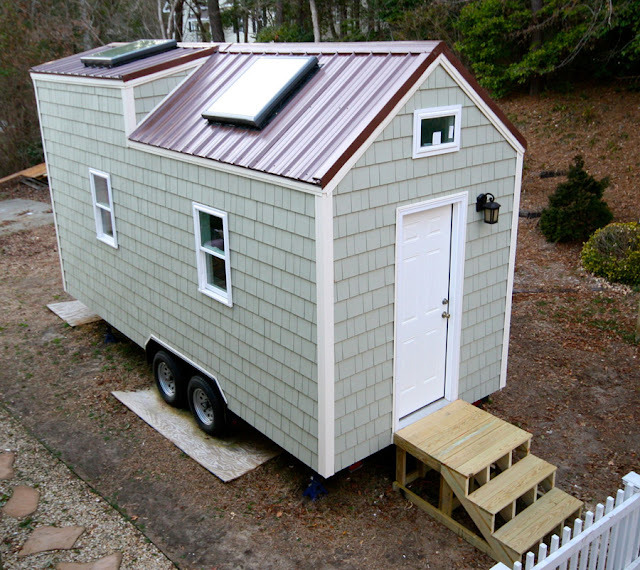 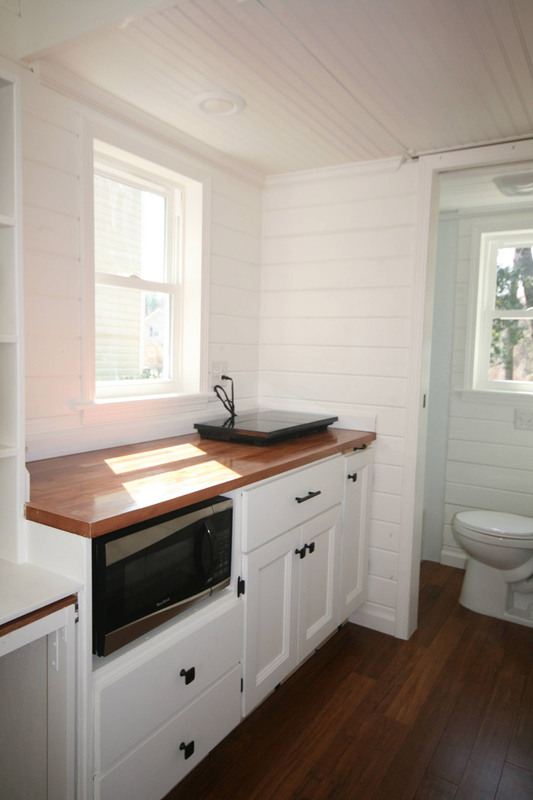 This cute tiny house on wheels, named the Inaugural, is by East Coast Tiny Homes of Kitty Hawk, North Carolina. 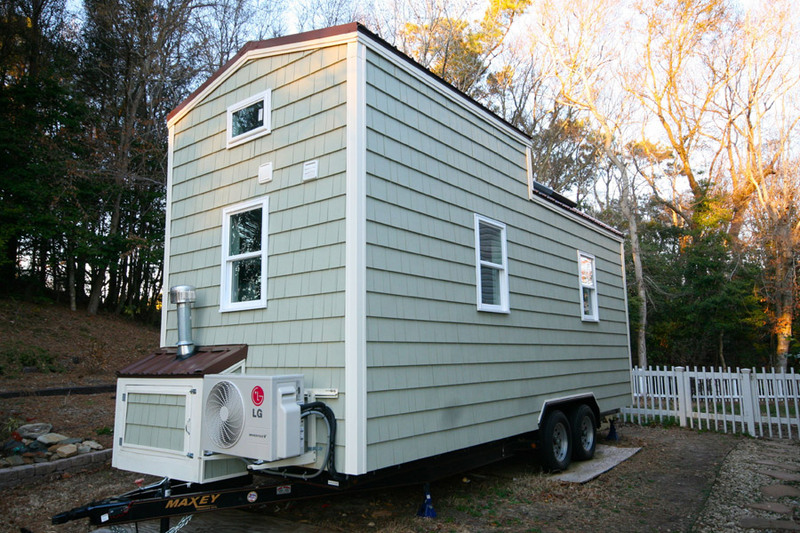 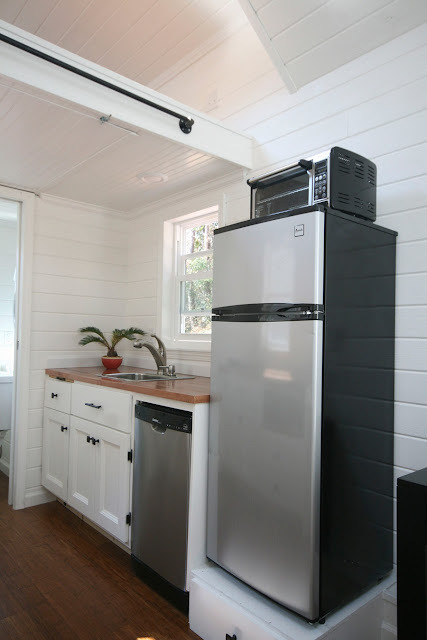 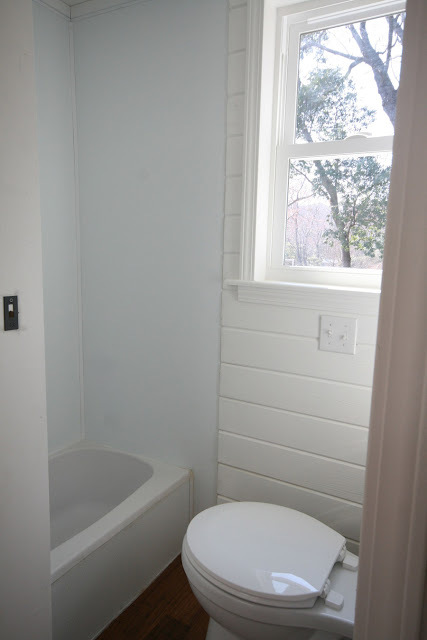 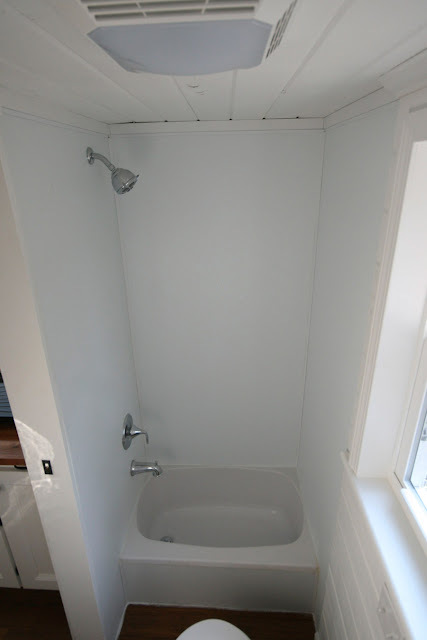 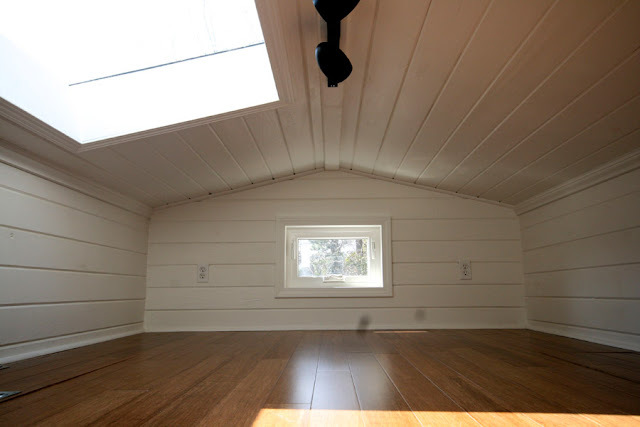 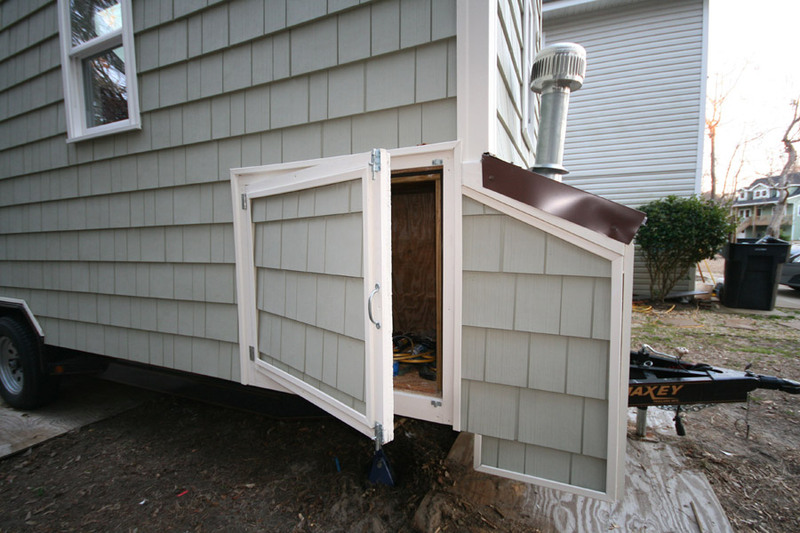 The home measures 8’ x 20’, and has a total interior size of 160 sq ft. Inside you’ll find a kitchen, a loft bedroom, a living room area, a full bathroom, and plenty of storage throughout the home. 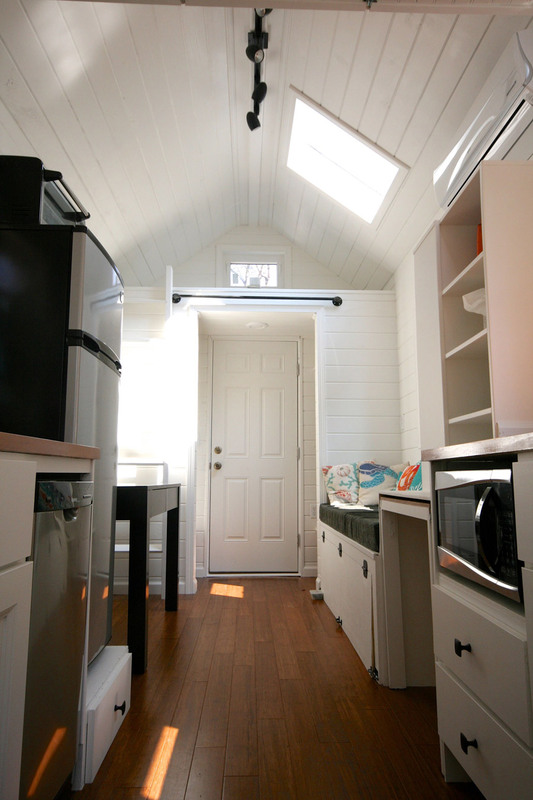 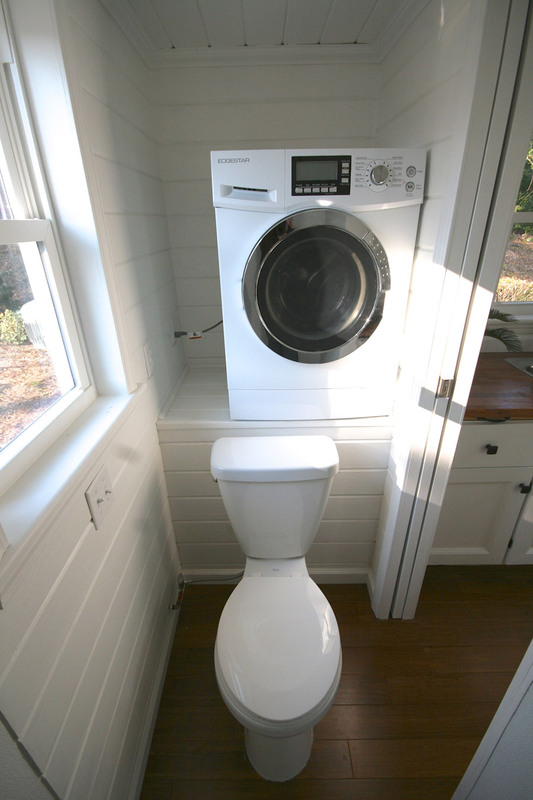 It also comes fully outfitted with kitchen appliances and a washer/dryer. It was listed and sold last year for $45,000.